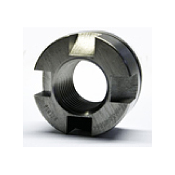 Delta Fastener Corp. has a vast inventory of specialty fasteners. 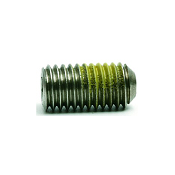 We carry Bolts, Sockets, Nuts, Washers, Machine Screws, Tapping Screws, Pins, Plugs, Keys, Rivets, Anchors, Grease Fittings, Pipe Fittings, Studs and All Thread Rod in many different grades and materials (Inch and Metric). 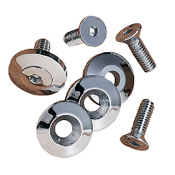 We also stock many different items and materials that you may consider custom or specialty fasteners. 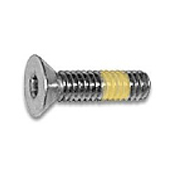 Along with standard items Delta Fastener Corp. can provide specialty fasteners such as; bolts, nuts or other fasteners in the following materials, but if you are looking for something not listed please contact our inside sales department. 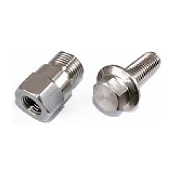 We can provide specialty fasteners to print on with almost any material imaginable. 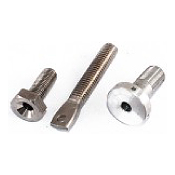 Below are just a few examples of custom bolts, nuts, or other specialty fasteners we have modified or made per customer supplied print.